Since body acne (acne on the chest, back, shoulders and neck) is harder to treat then facial acne, it requires a longer and more intense treatment regimen to see results. The back is made up of tougher skin with thousands of sebaceous glands that can produce excess levels of oil, making this area more susceptible to the formation of cysts and nodules which actually require a longer treatment period. will give YOU the best results. Find the Best Treatment for YOU! 1 - Take a shower following exercise. This will help to wash away excess oils, sweat and dead skin cells preventing bacteria to settle in your clogged pores (reducing the incidence of body acne). 2 - Wear loose clothing made from natural, breathable fabrics like cotton and linen. This clothing will decrease perspiration and will not rub sweat and oil in to the skin. 3 - Diet and Lifestyle. Cutting out greasy, fatty foods, and sugary foods as well as trying to reduce everyday stress can help rebalance your body. 4 - Harsh acne agents are not recommended since they can dry and irritate the skin. Drying soaps and harsh cleansers containing salicylic acid or alcohol can not only dry and irritate, but they can actually stimulate more oil secretion as the skin will try to protect itself against the dryness. Instead, Witch Hazel can be used to enhance your daily cleaning routine since it also reduces inflammation and its astringent properties help skin tissue regenerate. 5 - Our Soothing Body Acne Oil helps calm inflammation and redness. The essential oils have antiseptic and anti-bacterial properties, which also help to control the bacteria on the skin surface. Blend all the oils together and keep in a dark glass bottle. Massage daily over all the acne areas. When the skin has absorbed the oil, freshen with a mixture of witch hazel or aloe vera gel. The gel contains a hormone that accelerates wound healing, and it has mild antiseptic and antibiotic qualities. And remember, treatment + support is really a winning combination in overcoming your acne. 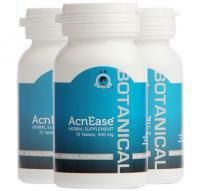 that matches you with the right acne treatment, giving YOU the best results!